The television series Airwolf (1984-1987) highlighted a high-tech military helicopter in its mission. As such, there is interesting information about helicopter travel speed that you ought to know. Such information is vital, not only for a student learning how to fly a helicopter or one who uses a helicopter simulator, but for the passenger, as well. A helicopter is not a plane but a kind of rotorcraft where the lift and thrust are done by its rotor. That’s why you see a helicopter taking off and landing vertically, can hover and fly in a forward motion, as well as in the lateral and backward motion. These are the primary characteristics of helicopter which other aircraft does not have. It is worthy to note that the helicopter is sometimes called chopper, or helo or whirlybird. The operational attributes of a helicopter – its capacity for takeoff and to land vertically, its hovering maneuverability, and its handling capacity in a low airspeed environment, makes it suitable to perform tasks which other aircraft are not capable of. Usually such ground operation requires an aircraft to hover for a quite a long time in the air to do the job on the ground. In modern times, the helicopter is used to transport people and different kind of cargoes, for military purposes, firefighting, for the construction industry, search and rescue operation, for tourism, to transport medical supplies and for aerial surveillance operation among some of its uses. The distinguishing mark of a helicopter from other aircraft, such as plane, is in its rotor system. The rotor as you can see from a helicopter is its rotating part or rotor blades mounted on top which allows it to make its lift upward. Almost all helicopters have an anti-torque system which means that as the engines of a helicopter start, the rotor blades causes its body to move in the opposite direction relative to its rotor. Thus, the rotor tail is needed to make a counter balancing act by pushing or pulling against the effect of torque or the tendency of the helicopter to rotate on its axis. This is said to be the most challenging and difficult part of the helicopter movement since a helicopter produces its gusty air while hovering which go against its fuselage and flight control panel. The helicopter’s movement and forward motion are just like that of a plane or any other fixed wing airplanes. Such motion causes the nose to dip down, with the effect of airspeed acceleration and decreasing altitude. This is the interval time between the hovering and forward flight motion of the helicopter, technically known as transitional lift. It usually happens when the helicopter airspeed attains around or between 16 to 24 knots which necessitates the helicopter to secure flight. The average helicopter travel speed is 133 miles per hour. 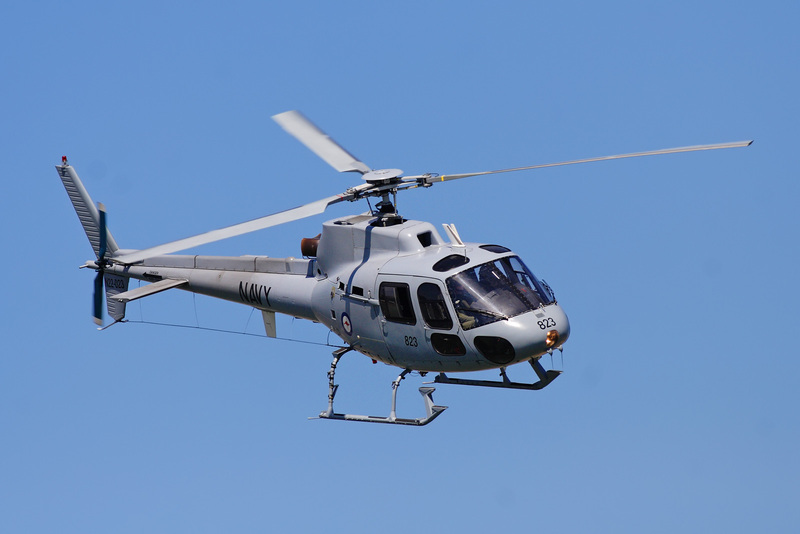 One example is the Bell 206 Helicopter. It must be remembered that this standard speed is true only for civilian type of helicopter. Its military helicopter counterpart has a higher speed cruising ability like the Sikorsky S-69 Helicopter which can cruise around 321 miles per hour forward flight. On the other hand, the Lynx Helicopter can cruise at the speed of 249.1 miles per hour. The next time you board a helicopter you already have an idea on how it works and some interesting information about helicopter travel speed. Get on board and enjoy your flight.